On the Leap of Faith this week, two different generations and their faith. 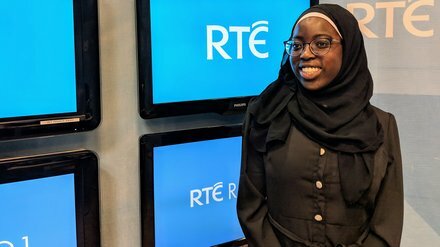 We meet Fadilah Salawu, she’s sixteen, a Muslim and the first black head girl in her school. She also represented Ireland on the committee for human rights within the European Youth Parliament. She shares her insight into being a very visible person of faith in Ireland in 2018. We also hear from Irish Poet, Dramatist and Broadcaster Aidan Matthews who shares the story of his formation as a Christian, from the late 1950s to today, Aidan also reads some poetry from his latest book, Strictly No Poetry, his first collection of poetry in 20 years.